Never wonder "what should I bring?" with these genius Thanksgiving hostess gifts! I host a big Thanksgiving dinner every year, and as soon as I send out the invitations I get the question. Unless you're my sister, who always brings the veggies because she makes them way better than I do, I'm never sure what to say. "Just bring yourself!" is my usual response, and I mean it. Thanksgiving is about spending time with my loved ones and catching up with relatives that I don't see often enough. I am happy to provide the place for us to gather and more than enough food for the feast (plus leftovers to take home). But I know my family, and they don't like to come to a gathering empty handed. 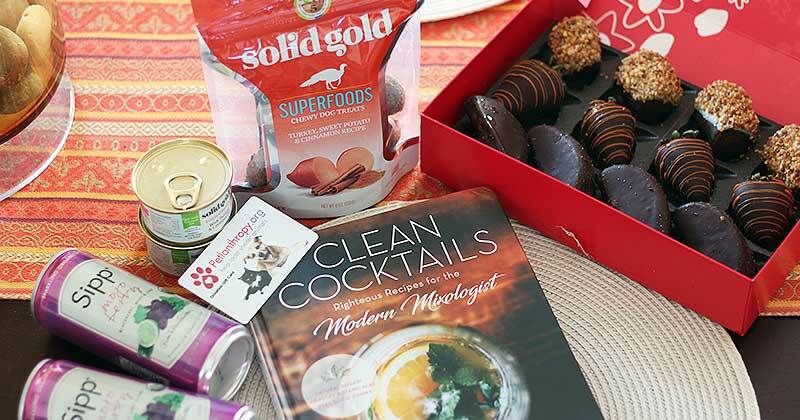 So thanks to our friends at Babbleboxx, this year I have a few ideas for things they can bring to our Thanksgiving dinner to make it extra special without a lot of effort. 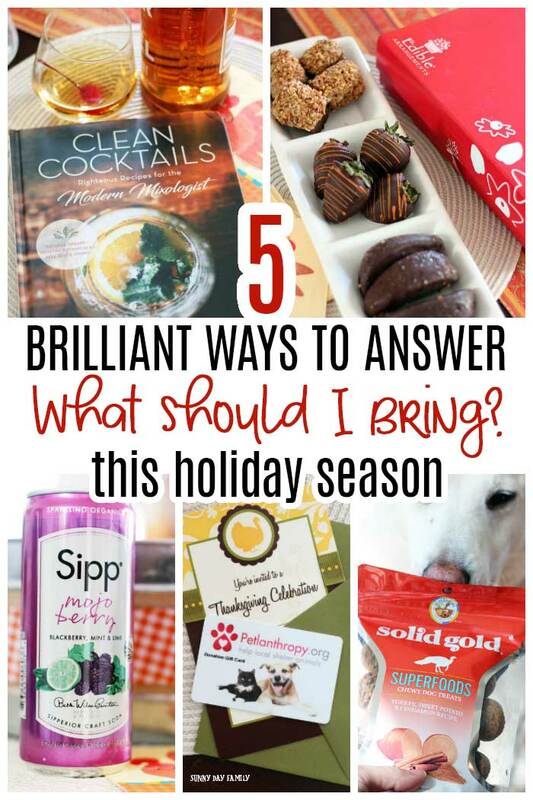 Are you heading to a holiday gathering and you're not sure what to take? Forget the cliché bottle of wine and grab one of these instead! 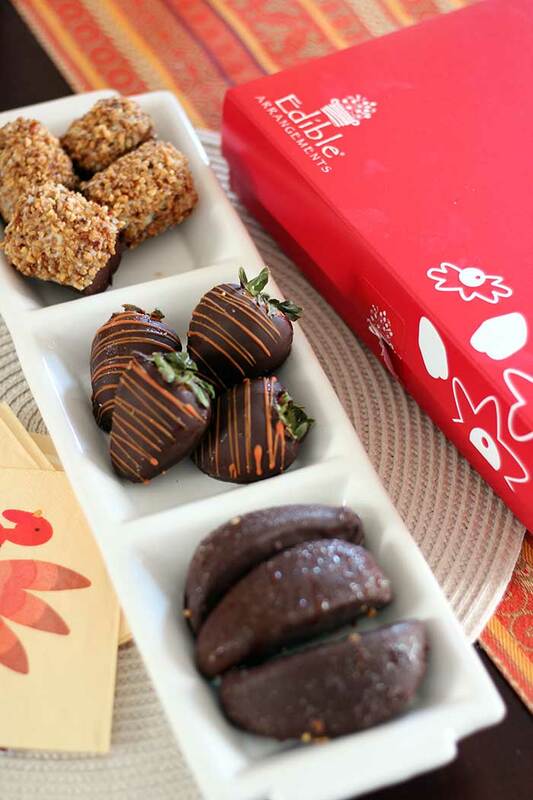 These awesome goodies will make any Thanksgiving or holiday celebration a little more special. And I guarantee that your hostess will appreciate your efforts at making entertaining a little less stressful so that everyone can enjoy the day and focus on giving thanks. When I have a houseful of guests and am trying to get a complicated dinner ready, I love having a helping hand at the bar. If you're a budding mixologist, offer to bring the makings for a signature cocktail and take over bartending duties for your host. 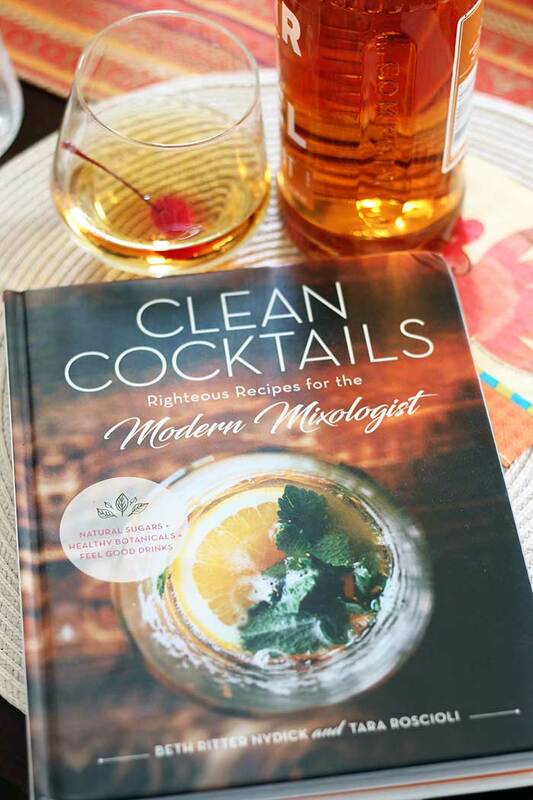 You can find amazing Thanksgiving cocktails in Clean Cocktails: Righteous Recipes for the Modern Mixologist by Beth Ritter Nydick and Tara Roscioli. With a focus on clean cocktails, these recipes use low calorie spirits, fresh juices, and clean sweeteners for a totally new take on cocktail time. Many of the recipes in Clean Cocktails include pitcher sized versions, making them perfect for entertaining. I'm all about including the Dr. Feel Good in our Thanksgiving celebration this year, partly for my love of 80s music and because it has cranberry juice, making it totally right for this time of year. I love having fun non-alcoholic drink choices too, and these organic sparkling beverages from Sipp are a great option for everyone to enjoy. 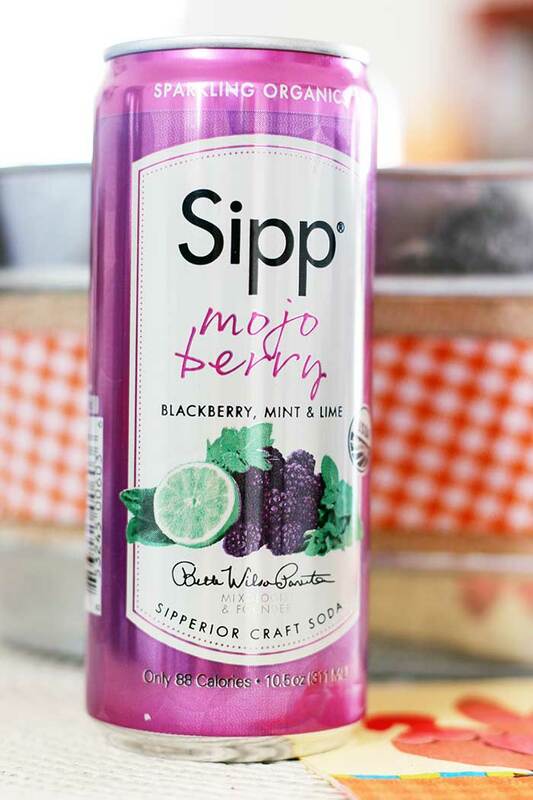 With an exciting mix of flavors like blackberry, mint, and lime, Sipp is a refreshing choice to include at your Thanksgiving table. And since it's organic, I am comfortable giving it to my kids. They love having special drinks for special occasions and Sipp totally fits the bill. Bringing a fun drink that they can enjoy too is a great way to include them in the celebration. Thanksgiving is all about the desserts, but sometimes you're just not in the mood for a traditional pumpkin pie. That's why a sweet treat from Edible Arrangements is the perfect finishing touch to your dinner, and a great gift to bring along. The Autumn Harvest Dipped Fruit Trio™is the perfect addition to your Thanksgiving dessert table. With three varieties of fruit dipped in luscious chocolate, it's a decadent treat that your guests will remember. It includes chocolate dipped strawberries with an orange swizzle, chocolate and hazelnut covered bananas, and salted caramel apple wedges (those are AMAZING). This is the kind of gorgeous dessert I would love to serve but have no time or talent to make myself. Edible Arrangements does all the work for me and delivers it right to my door. Now that's something to be thankful for! $10 OFF $39+ ($49 for CA) valid 11/13 – 11/22, unlimited use, for fulfillment any time. I'm going to be honest with you. My pets kind of hate Thanksgiving. They are all getting older, and the noise and chaos of a big family gathering is overwhelming for them. Plus, there is the big turkey that they smell cooking all day but don't get to eat. It's tough! A special treat for your host's pets is an awesome idea for Thanksgiving. It helps break the ice if you don't know the pets very well. My dogs are much more interested in new people when they come bearing food! 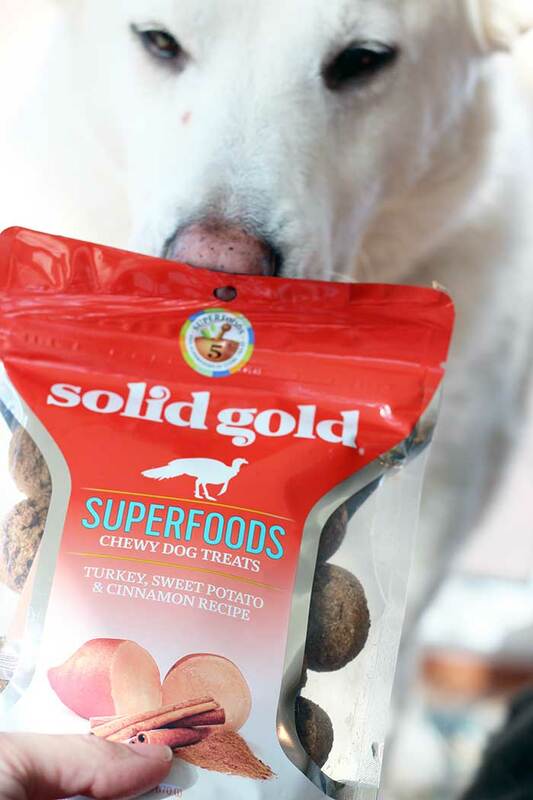 These Superfoods Chewy Dog Treats from Solid Gold are the perfect choice for a Thanksgiving treat because they have all the traditional Thanksgiving flavors in a yummy bite that your dog will love. Griffey couldn't wait for me to open this bag to test them out, and he wasn't disappointed. When the turkey goes in the oven this year, I'll be sure to have a few of these natural dog treats on hand for both our dogs. 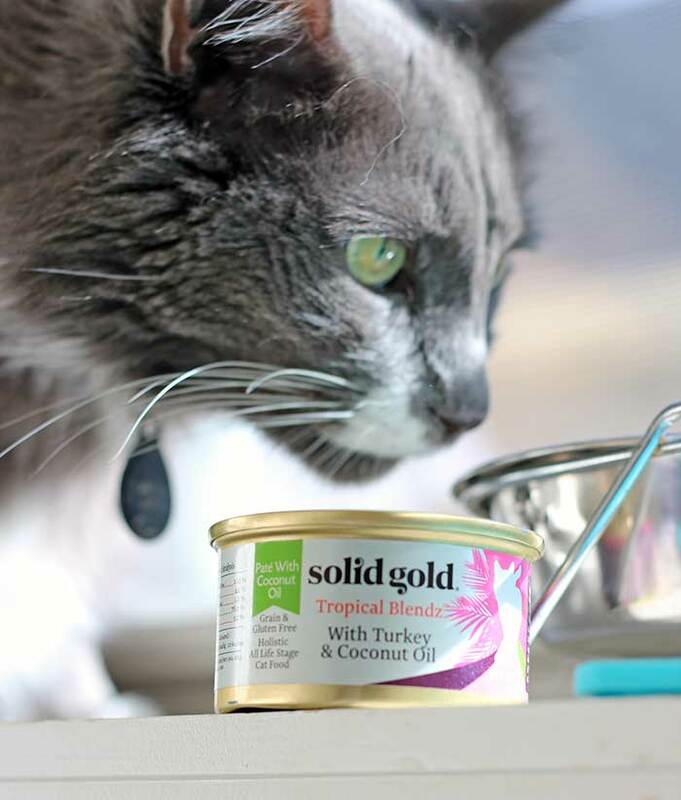 Our cat Biggie doesn't want to miss the feast either, so a great choice for him is Solid Gold's Tropical Blendz with Turkey and Coconut Oil. Grain and gluten free, this natural cat food is a yummy choice for his Thanksgiving dinner (and would make an awesome stocking stuffer too). PS - save on Solid Gold dog and cat products here! Thanksgiving is all about the spirit of gratitude and giving, and if you'd truly like to bring something meaningful to your host then consider a gift card to donate to her favorite cause. For me, it would be our local animal shelter, where we adopted our three pets and a place that is near and dear to my heart. And thanks to Petlanthropy it is easy to give a gift that matters. 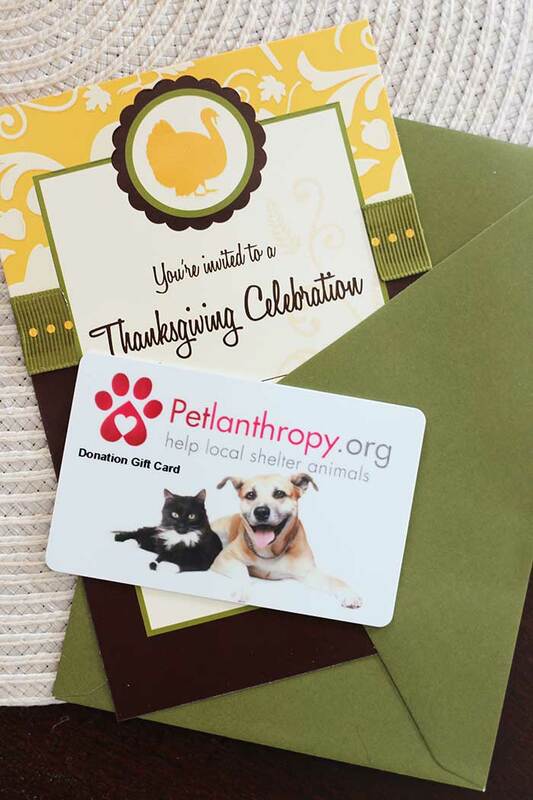 A Petlanthropy Donation Gift Card is an amazing gift for the animal lover in your life. Recipients can use it to donate to their local animal shelter or to a pet project that they care about. I am so excited for the chance to give back to the shelter where my dogs and cat were so wonderfully cared for before they became part of our family, and to help the homeless pets that are there now. Check out Petlanthropy here. The next time you're invited to a Thanksgiving celebration or a holiday gathering, you won't need to ask "what can I bring?". Choosing one of these clever gifts will make your host happy and help you have the best holiday ever. What's your favorite hostess gift? Leave a comment below and let me know!